From the confines of their HQ “on a secret floating island deep in the South Pacific…made up of the detritus, debris and washed up remnants of humanity,” Gorillaz have come out of their high-tech cave this week for some serious air time. 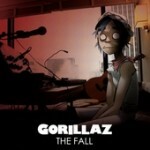 First was the news yesterday that the cartoon superstars backed by Damon Albarn would co-headline Coachella in April, and now, today, much to the dismay of group bassist Murdoc Niccals, the first single off of Plastic Beach, “Stylo” featuring Bobby Womack and Mos Def has leaked online, pushing up the track’s official release to January 26th. 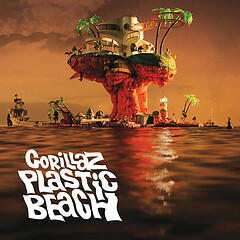 Plastic Beach, due March 9th via Virgin Records, was self-produced and is the third full-length studio release for the 12-million selling band of studio wizard goofballs. 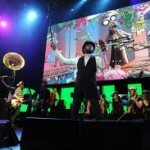 Gorillaz’ appearance at Coachella on April 18th marks the group’s first Stateside live performance since its infamous takeover of Harlem’s historic Apollo Theater in April 2006.